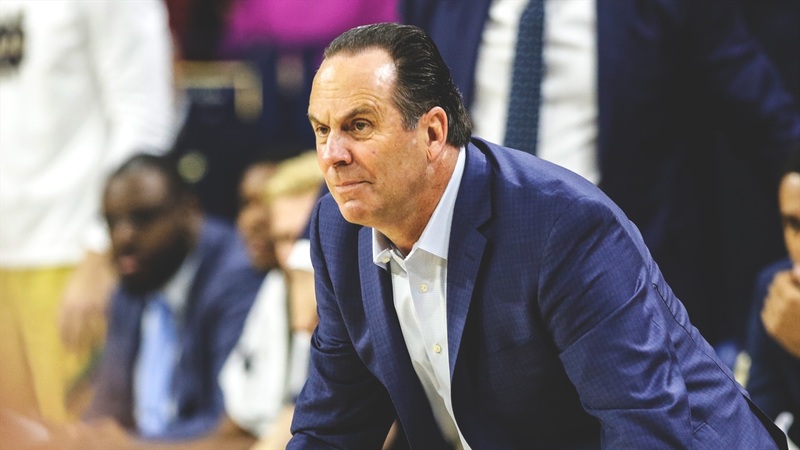 Notre Dame head coach Mike Brey spoke following the 63-61 loss at Georgia Tech on Tuesday night. “Their defense is really good. It was hard to play against. We gave ourselves a chance, but you have to score a little more to escape down here. I thought they made some big shots and some big posts moves at key times. “It’s been the story for us. We haven’t shot it well enough. We handle the ball well even though we had 13 turnovers tonight. We pass and catch well. The clean looks we’re getting, we’re not making enough of them. I think we’re a better shooting team than we’re showing, but until you do it, you are who you are. “We’re 1-5 in the league. We’ve played some really good teams. The two we’re playing are the two best. We’ve got to flush it and move on. We have to compete and see if we can get to game situations and get over the hump. “That’s a lot to say against the next two teams. Our crowd will be great. Our fans love our young players as they are getting to know them. We know we have a heck of a challenge on Saturday and Monday. That’s why these kids came to Notre Dame or Georgia Tech to play in this league. “The one thing that’s been lost in us not winning is John Mooney is playing as well as anyone in the league. When you’re 1-5, you’re not going to get a whole lot of attention. He’s been unbelievable setting the tone for us. I thought (Nate) Laszewski was good tonight. I thought (Dane) Goodwin was attacking tonight.